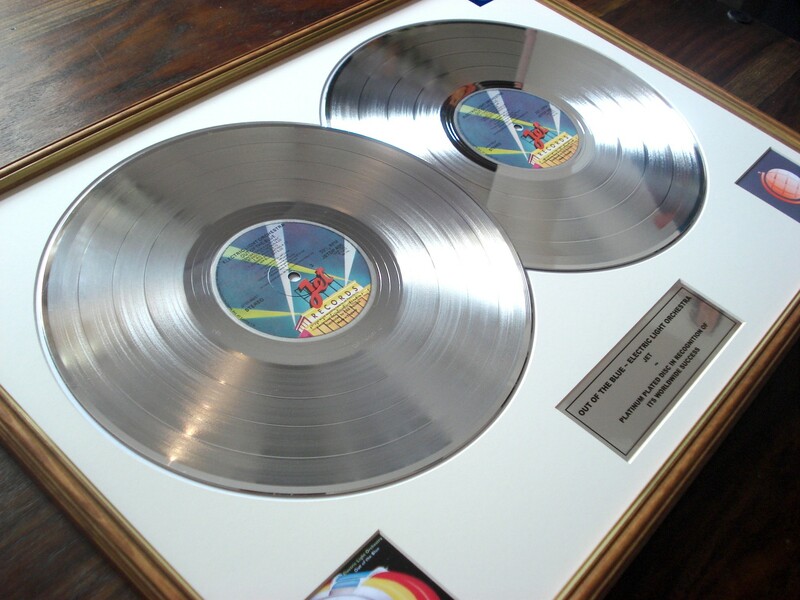 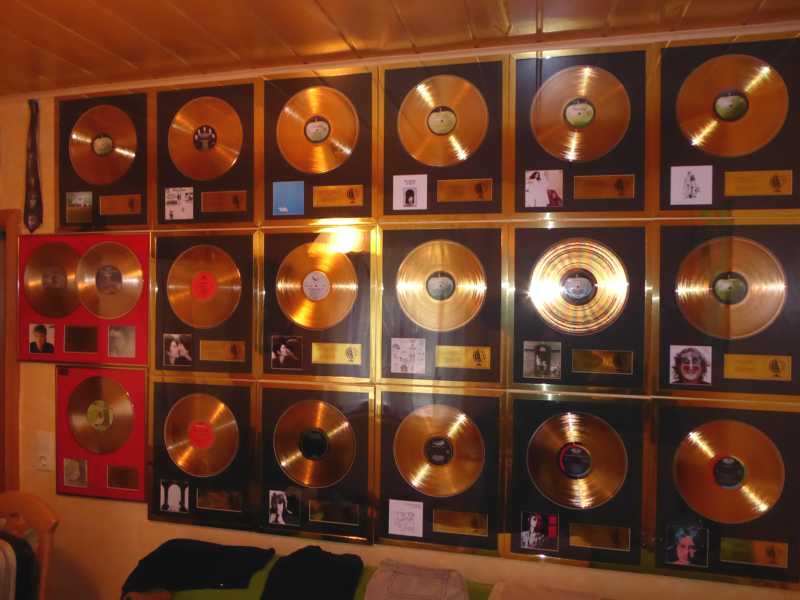 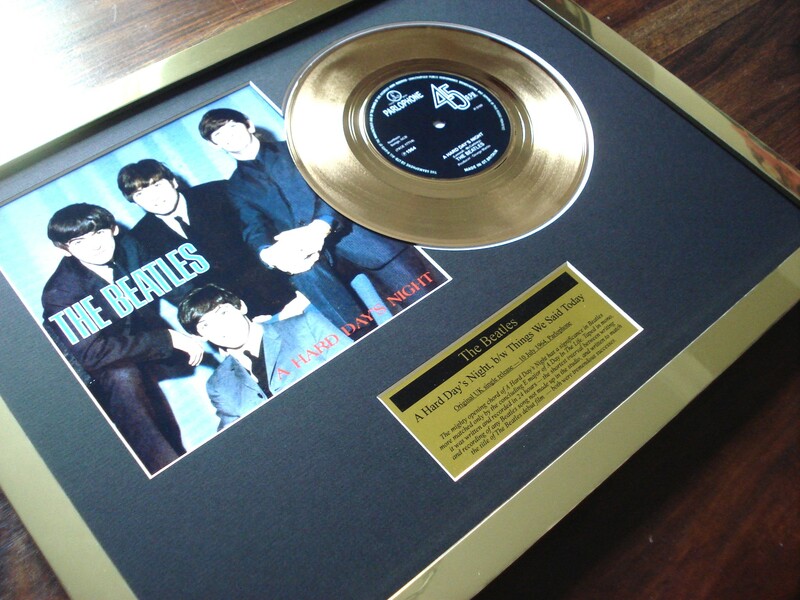 Welcome to Fab Cool Stuff, the home of replica gold discs, platinum discs and other great music awards and memorabilia. 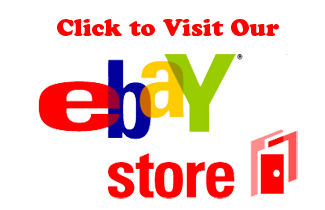 If you're looking for that special present, or just to treat yourself, you've come to the right place. 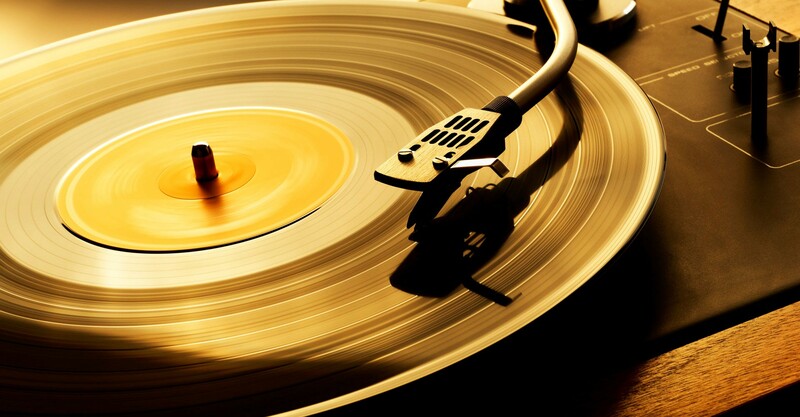 We only use original vinyl discs in our presentations - if it's on vinyl, we can do it. 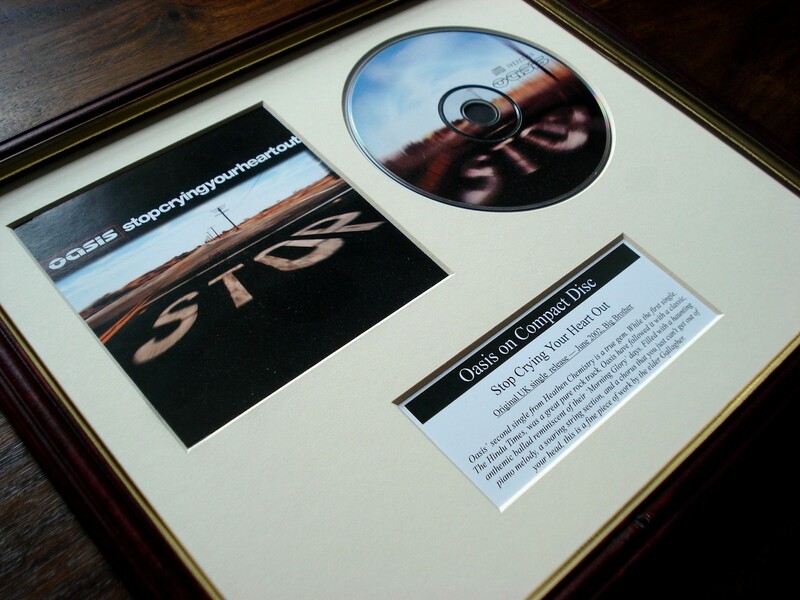 All discs can be fully personalised to celebrate any occasion, whether it be a birthday, wedding or anniversary. 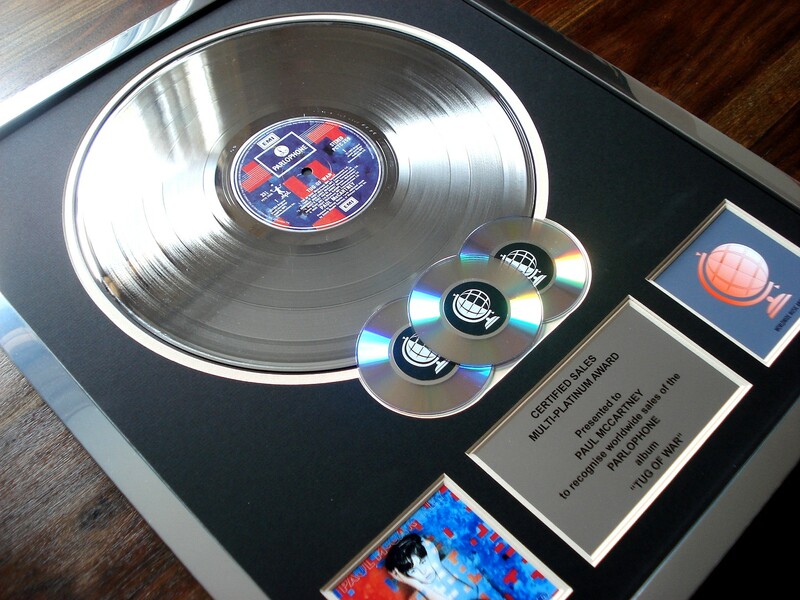 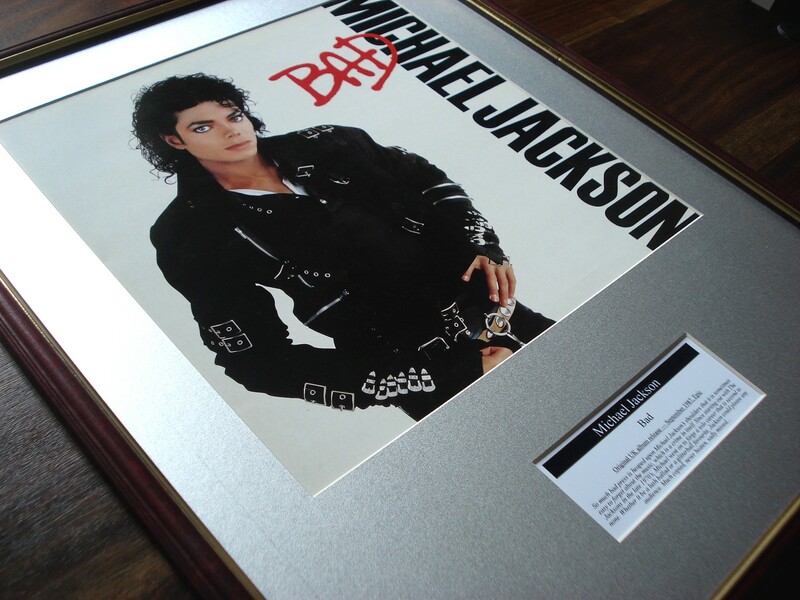 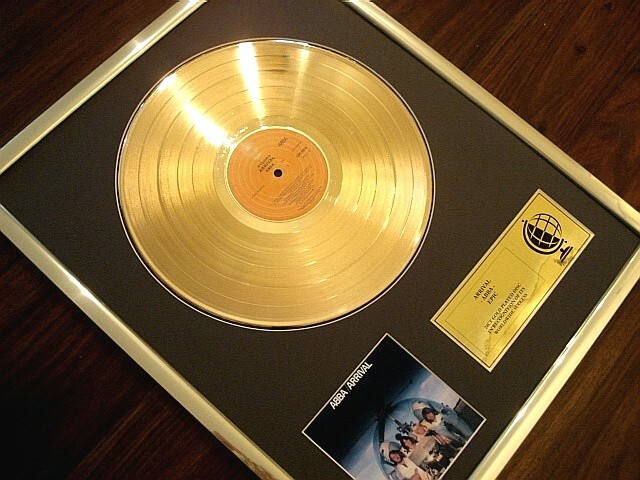 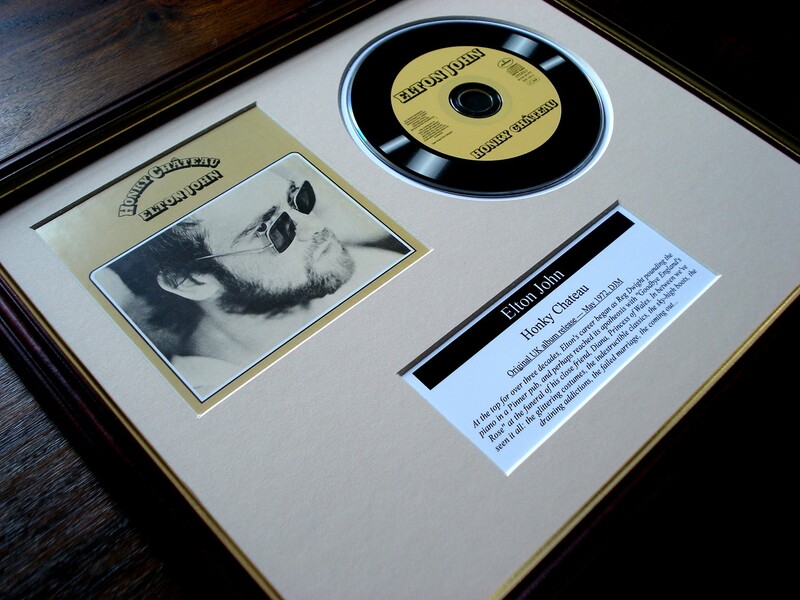 Each presentation houses two platinum discs, a plaque displaying the album information; a picture of the album cover, and the 'Worldwide Music Awards' logo - all housed in a chunky 24" x 17" wooden frame. 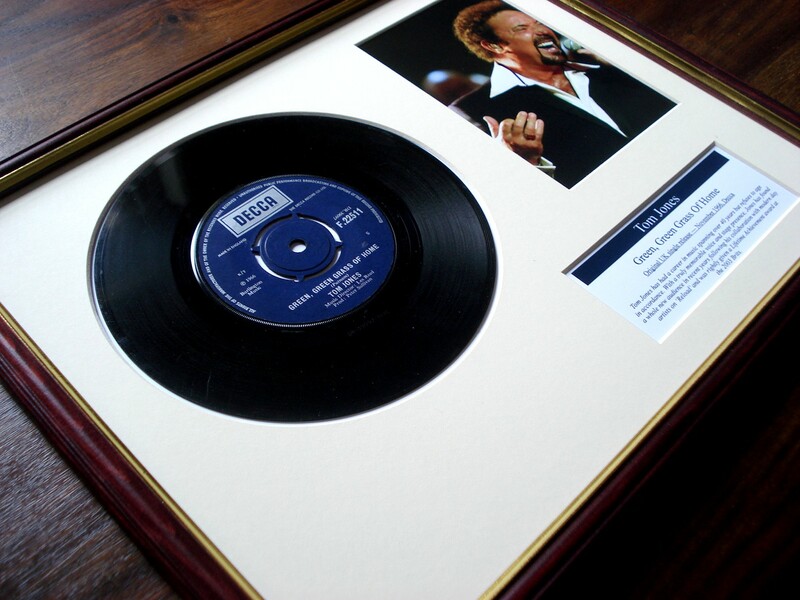 To preserve the memory of vinyl records, you can now have your own piece of history by obtaining a superb framed 7" vinyl record. 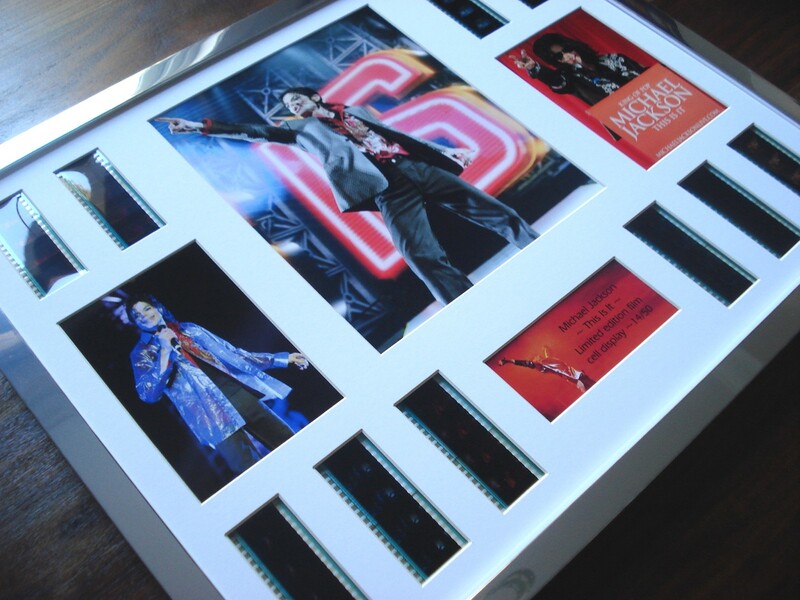 Each one captures a moment in time and always draws the attention. 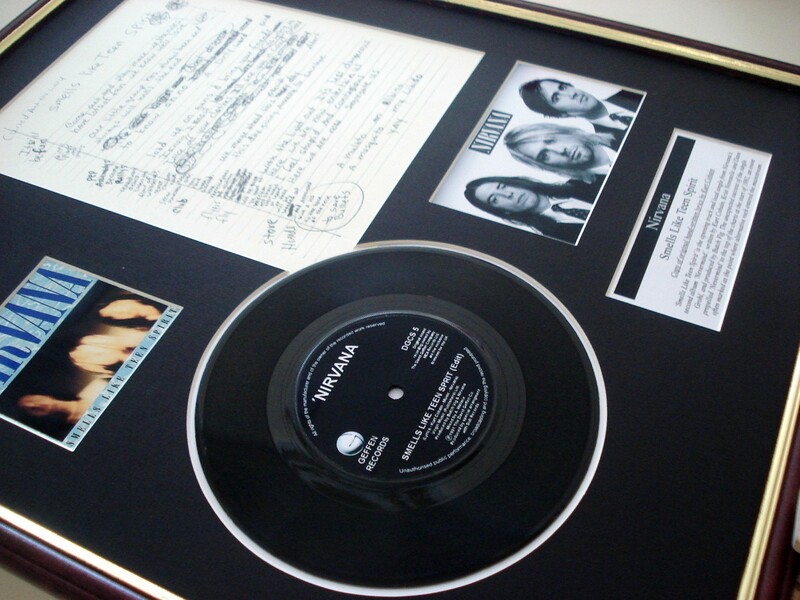 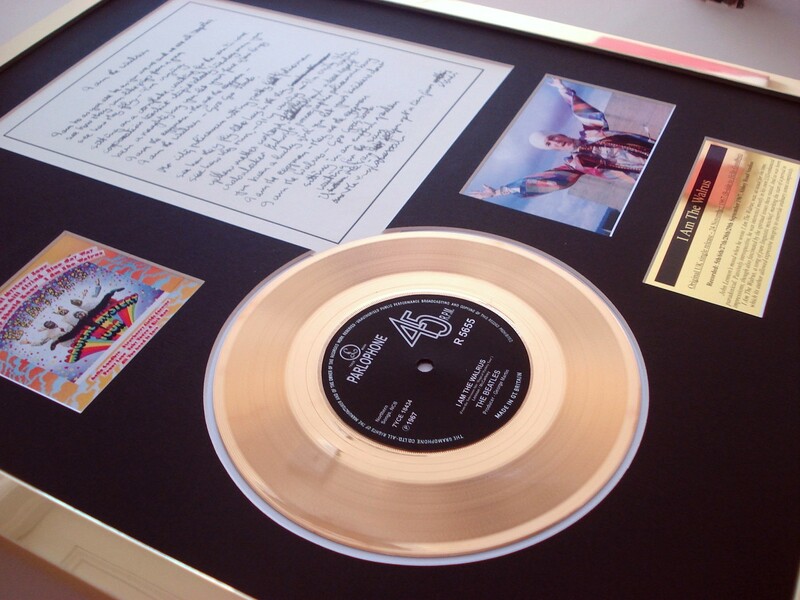 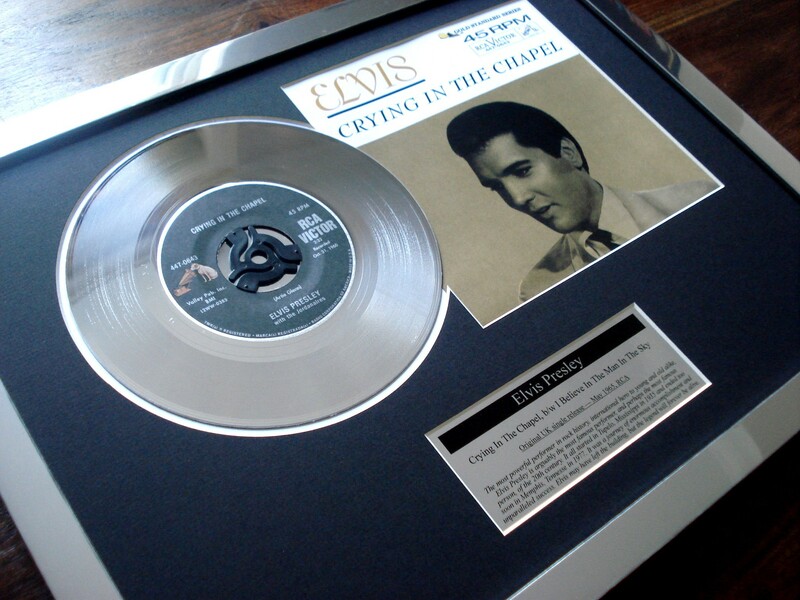 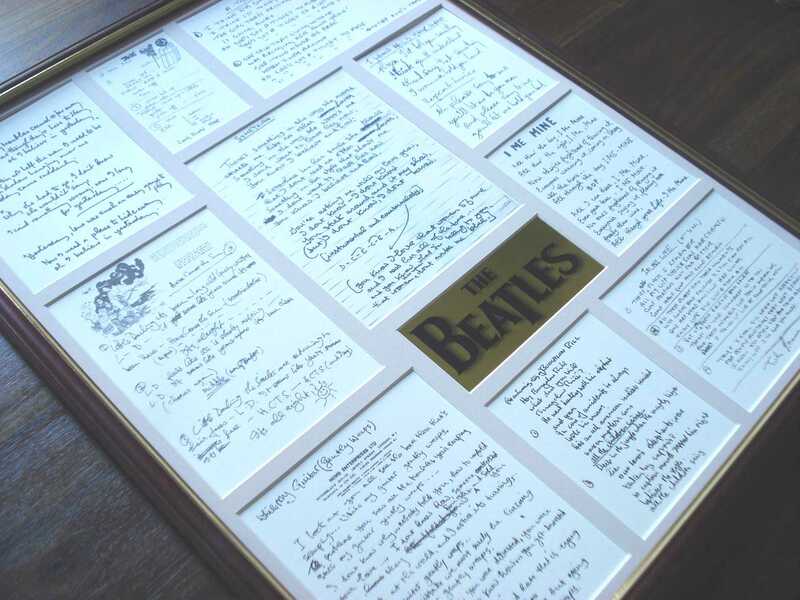 These beautiful presentations feature a quality facsimile reproduction of famous original hand-written lyrics, complete with a Gold plated 7" single, pictures and review of the artist, mounted and housed in a gold 20x16" frame. 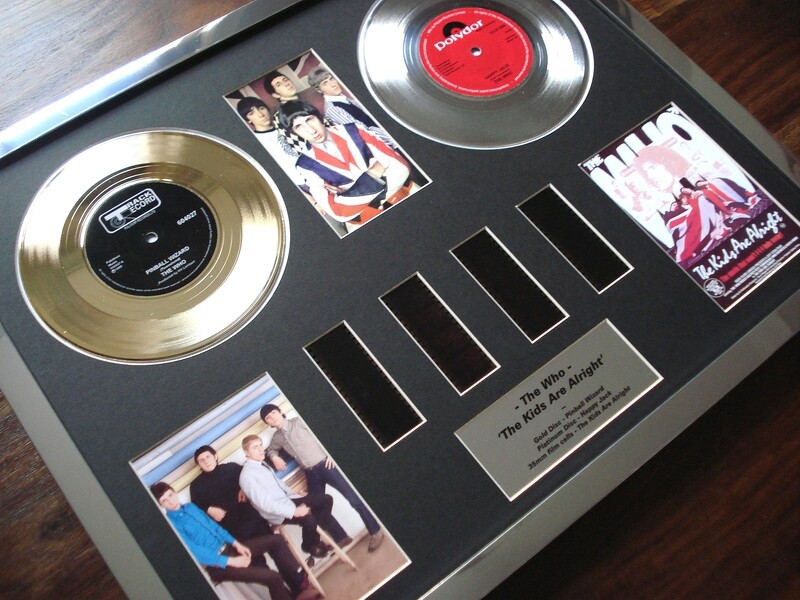 Most of our awards are available to be customised to your own particular taste. 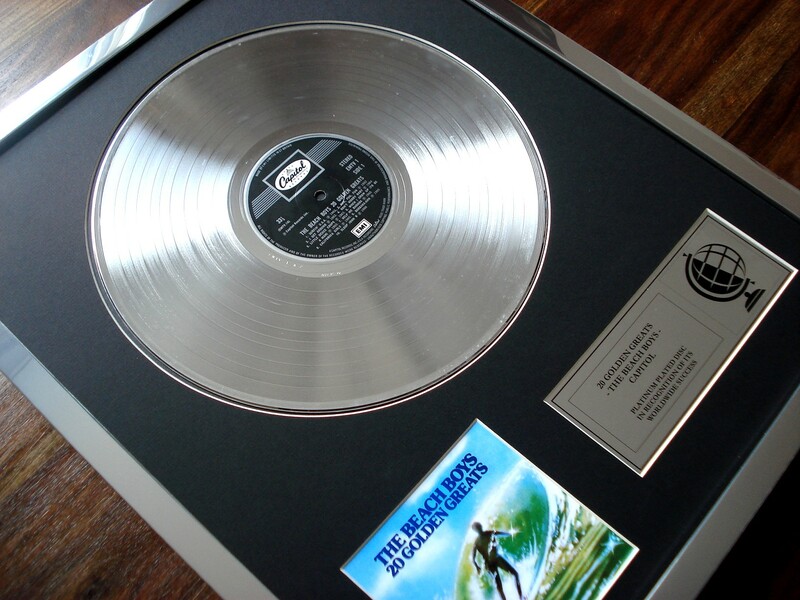 For example, you may be the manager of an up-and-coming artist and want to present a replica disc to them as a word of thanks, or make up a pretend award to a loved one as a gift.